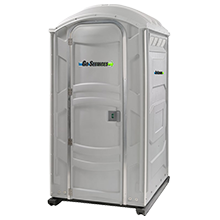 We have over 14 years of experience in the Porta Potty Rental industry. As a result, we commit to high standards of both Cleanliness and Site Service. Thus we have proven ourselves so as to be a trade leader for Portable Toilet Rental. Further, we know that our best advertising is in the feedback we receive from satisfied, repeat customers. In a word, Quality. In the same fashion, we recognize that each job is unique in its Porta Potty Rental needs. Knowing this has allowed us to us to provide prompt, reliable service to most any work site. Most noteworthy of these sites are Industrial, Oilfield and Special Events. Our team will take all factors into account for your site and unit suggestions. As well, we will base our data on the guidelines provided in the Alberta Health Act. 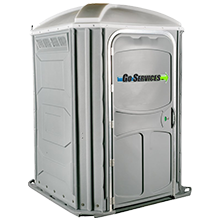 Available in Pink or Grey, or Porta Potty Rental units are exactly what your job site needs. Our larger units, with over 16 square feet of open floor space. For the mobile job site, we have a rental option that moves with YOU! 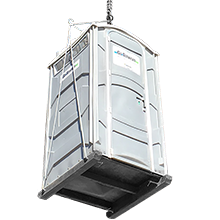 Save yourself time on Construction Sites by having a Porta Potty Rental with a lift! 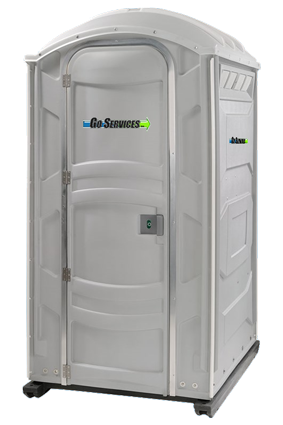 Need a Quote for Porta Potty Rental? Use our Contact Form and we will get back to you ASAP! Need Options? We do more than just standard Porta Potty Rental! Your job site deserves quality Rentals. 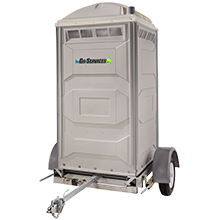 Aside from our base units, we also offer a Heated Portable Toilet option for all work sites. 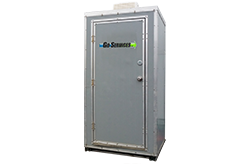 Stay warm in a diverse set of climates with help from Go Services Inc. Mobile, warm and serviced with a smile. 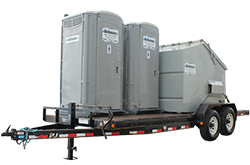 Our Trailered Self-Contained Units are designed to move with your job site. 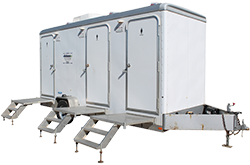 Further, we also carry Skidded Self-Contained Restrooms should you prefer. All of our Rental and Site options come with full service, mob & demob, and more! We have a host of sizes available for our Skidded Washcar Rentals, complete with a setup plan to suit your needs. 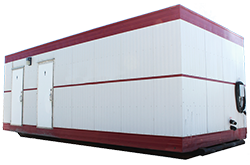 Our Combo Unit Rentals are designed to meet all your site demands. We are confident that these units can provide an all-in-one solution to your mobile work site.